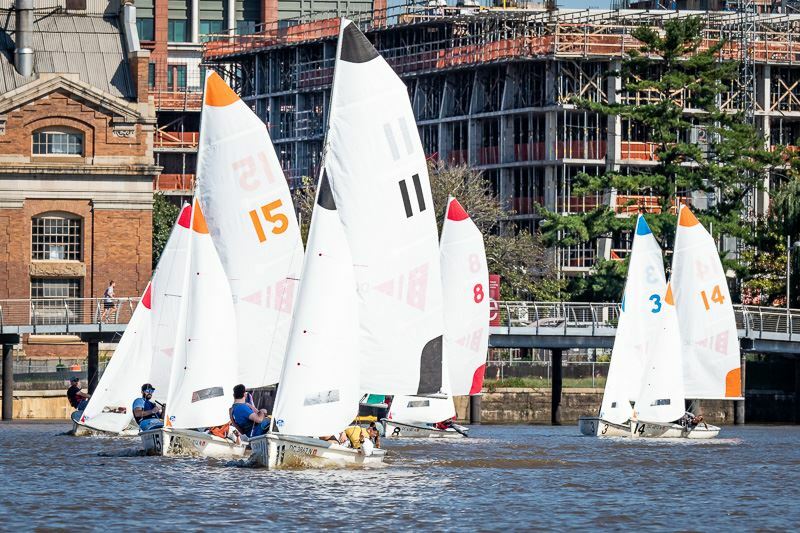 For those looking to cross over to sailing in our Flying Junior fleet, DC Sail offers an Intro to FJs course. This two day class takes place on Saturday & Sunday over a single weekend. We only host the course once a month in June, July and August. This course will teach you the basics of small boat handling on our fleet of Flying Juniors (FJ) which are two-person Olympic racing boats. You will learn how to properly rig and de-rig the boats, the theories behind boat balance & how to achieve proper sail trim. You will also be introduced to the basics of racing. Prerequisites: We assume that you have passed our learn-to-sail course on the Flying Scot or have equivalent experience. See the curriculum overview of our learn-to-sail course to judge your skill level, or contact us if you have any questions. If you have not sailed for a while consider taking our refresher course first. We also assume that if you sign up for this course that you can swim 100 yards in clothes and tread water for 2 minutes. Registration: Please select the session you wish to attend by clicking on the link below in the red box and then proceed with registration. Full payment by a credit card is required at the time of registration. Unpaid registrations will be cancelled by the system automatically after 15 minutes. Please be sure to have your payment information available at the time of online registration. For more information, please contact Traci Mead, Director of Business Operations.